3D bioprinting is the process of generating spatially-controlled cell patterns using 3D printing technologies, where cell function and viability are preserved within the printed construct. Additive manufacturing, otherwise known as three-dimensional (3D) printing, is driving major innovations in many areas, such as engineering, manufacturing, art, education and medicine. Recent advances have enabled 3D printing of biocompatible materials, cells and supporting components into complex 3D functional living tissues. 3D bioprinting is being applied to regenerative medicine to address the need for tissues and organs suitable for transplantation. Compared with non-biological printing, 3D bioprinting involves additional complexities, such as the choice of materials, cell types, growth and differentiation factors, and technical challenges related to the sensitivities of living cells and the construction of tissues. Addressing these complexities requires the integration of technologies from the fields of engineering, biomaterials science, cell biology, physics and medicine. 3D bioprinting has already been used for the generation and transplantation of several tissues. Other applications include developing high-throughput 3D-bioprinted tissue models. Performing a surgical operation on a person isn’t ever easy for doctors. The human body is frail and a single wrong incision can endanger (or worse, end) an innocent life. Even though the risks associated with surgical operations have decreased over the years with the help of X-Rays, MRIs, and CT Scans, these technologies still have a long way to go. There is a great hope for bio-printing, such as 3D printing human cells. The technology is still in its infancy but great strides have been achieved in the past few years. Fortunately, a company called 3D Ops has a thought of a means to help surgeons evaluate operate on their patients in a more efficient manner. 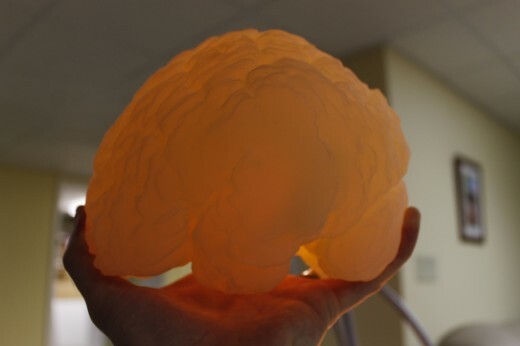 The company offers a 3D printing solution that leverages information from a patient’s MRI and CT Scan results. 3D printing, also known as rapid prototyping or additive manufacturing, used to be the manufacturing industrys best kept secret but now the technology is being used to transform many industries, including medicine. Over the past year, hospitals around the world have begun talking about their burgeoning use of 3D printing in health care, from 3D printing an entire skull, to rehearsing incredibly complex surgeries and creating implants for reconstructive surgery. 3D Ops, a company that developed 3-D technology to help surgeons operate, won the Early Innovator Award, which highlights emerging tech-based companies that have produced groundbreaking prototypes or beta stage software applications expected to have a significant competitive advantage. 3D Ops was part of Chattanooga nonprofit organization Co.Lab’s summer accelerator program. It's relative newcomer to the medical technology industry. With a management team made up of a heterogeneous mix of industry veterans and customer service-savvy professionals, the company has steadily gained attention in the medical world for its Scan-to-Print 3D printing technology. This is an innovative solution for a problem that most (if not all) surgeons still encounter regardless of their skill level and proficiency with a scalpel. Since the human body comes in different shapes and sizes, a surgeon can’t just cut up their patients without checking out the status of the internal organ or organs that require surgery. 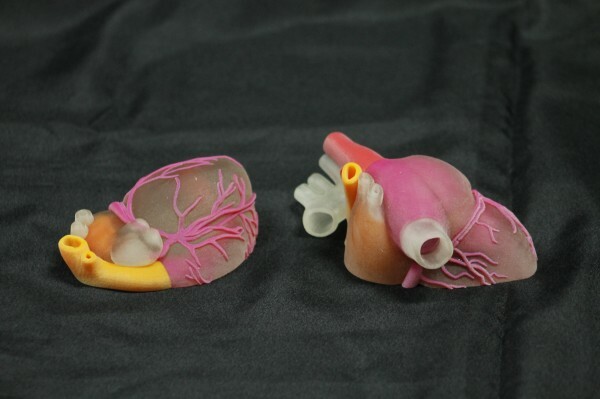 3D Ops’ Scan-to-Print technology does away with a lot of second-guessing by providing the surgeon with an accurate 3D printed model of their patient’s ailing organ/body part. The whole 3D printing process starts with the doctor submitting his patient’s MRI and CT scans to 3D Ops using a method that’s secure and compliant to HIPAA industry standards. The MRI and/or CT scans will then be converted into a 3D-printable file type using the company’s proprietary tools. Following this, the file will then be printed using only the best and latest 3D printers thereby ensuring the finished 3d model is accurate and of the best quality. As soon as the models are printed, 3D Ops will then make sure that these are delivered immediately to the surgeon for his/her use. With more time and information (provided by the 3D printed models) about a patient’s ailment prior to a surgery, a doctor can choose to spend lesser time on the procedure. This will also help reduce guesswork (regarding the placement of nerves, arteries, and other organs) on the surgeon’s part which in turn should help reduce accidents and/or deaths at the operating table. Scan-to-Print 3D printing technology is not going to drastically change how surgeons go about their surgical procedures. Remember though that an operation’s success will always hinge on the surgeon’s knowledge and how well he applies it to deal with a patient’s physiological ailment. Having the greatest and latest medical equipment is never a guarantee for success in the operating room. Nevertheless, 3D Ops’ use of this advanced 3D printing solution is something that will undoubtedly help hospitals, surgeons, and other medical professionals mitigate the risks associated with surgeries. There are still hundreds, if not thousands, of other technologies that can increase a patient’s chances of survivals. The challenge now really is to make these technologies accessible to doctors and patients alike. If we can somehow achieve this then we’ll have guaranteed that the next generation won’t be facing much of a risk when they have to go under the knife.